You are here: Home / Uncategorized / Get your tickets for the 2018 Family Friendly Business Awards! 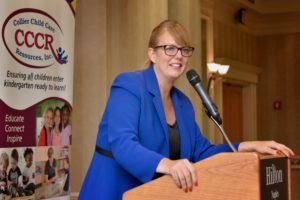 Get your tickets for the 2018 Family Friendly Business Awards! 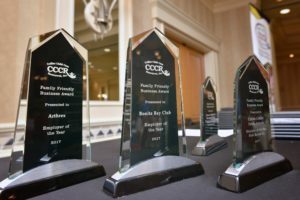 Please join CCCR for the 2018 Family Friendly Business Awards! 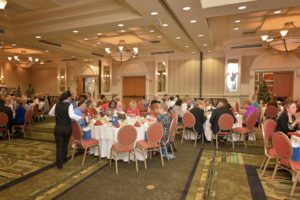 This event recognizes numerous businesses in Collier County who offer benefits that contribute to work/life balance, such as flex time, health insurance, or employee-sponsored childcare. Tickets are $35 per person and include breakfast for each guest. You can purchase your tickets and sponsorship online by clicking the “Buy Tickets” button below. 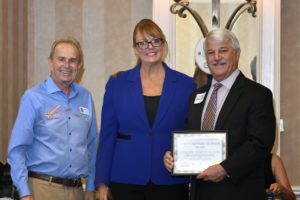 This year’s Family Friendly Business Awards breakfast will be held at the Hilton Naples on Tuesday, October 16th, 2018, from 8 am to 10 am, with networking from 8 am to 8:45 am. City of Naples Mayor, Bill Barnett is the emcee. John Schmieding, Arthrex Vice President, General Counsel, will deliver the keynote address on the value of family friendly practices and the importance of investing in early education. Two organizations will receive further recognition as “Employers of the Year” for showing special commitment to family friendly policies and innovative practices. An “Employer of the Year” will be recognized in the large business category (have 50+ employees) and the small/medium business category (49 employees or less). Two Employer of the Year winners and two runners-up will be announced at the Awards Ceremony! If you are interested in becoming a sponsor for the 2018 Family Friendly Business Awards we offer three different levels to select from. If you have any questions, please contact JoAnn Lawrence at JoAnnL@collierchildcare.org, or call (239) 643-3908.